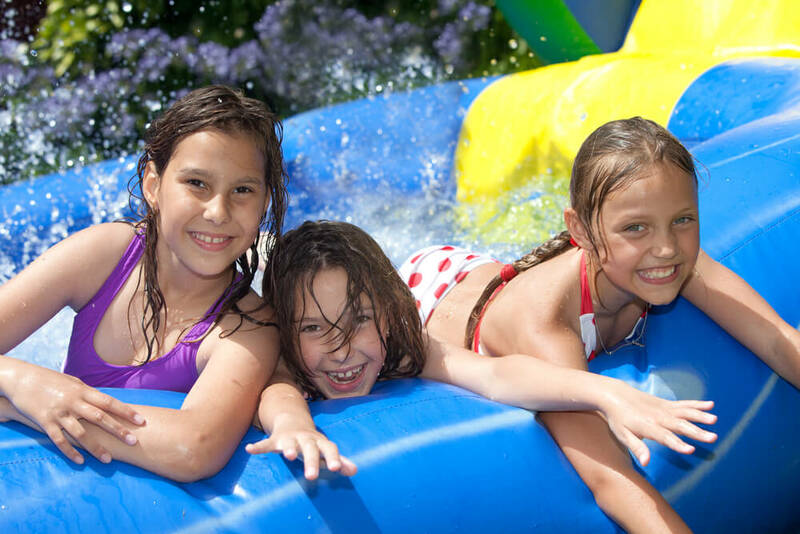 Water slide rentals in Ft. Lauderdale make the perfect outdoor recreational fun activity for a special event or birthday party. The only thing similar is to rent a bounce house for your Fort Lauderdale party, which gives you the best of the dry party world entertainment. Or combine the two by going with a bounce house with water slide, which provides hours of jumping enjoyment with all the endless fun that comes with playing on a water slide. Let’s face it. Fort Lauderdale is a nearly perfect location to raise a family, and with nearly perfect temperatures all year-round, this Florida community seems to grow on a daily basis. Throwing a party at your home or local park in Fort Lauderdale might be a regular occurrence when sunshine rules the land. However, you sometimes need some unique entertainment to keep your guests thrilled about the upcoming gathering. 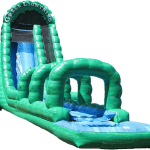 Our Extreme Fun Bounce House and Waterslide Rentals make the perfect option for every outdoor party, and there is always a new waterslide or bounce house option to choose. 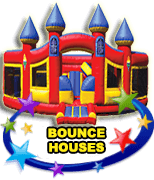 We have customers who have been renting our bounce houses and slides at least 4 or 5 times a year since we opened, and they love telling us how they always have the newest and hottest options to choose from. This amazing ride is one of the most popular water slide rentals in Boca Raton and when you see it up close, you will see why. Standing four stories high, it is quite the adventure to slip and slide down the 40? of splashing fun down to the refreshing splash pool below. A masterpiece water slide, this one blends the best worlds of the slope and the lengthy slide for enjoyment. Visually stunning, this water slide combines the hot reds and yellows of the hot South Florida heat with the the cool refreshing light blue water tones of the pool. 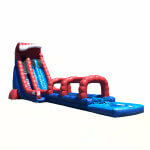 This patriotic water slide is one of our most popular in Boca Raton. Tired of Running the Air Conditioner? When you invite a dozen or more people to your sunny Ft. Lauderdale home on a beautiful morning or afternoon, the interior will warm up very quickly. You’ll need to turn the air conditioning to accomodate up all the people, not to mention all the going in and out of the doors. This means paying for the extra electrical costs, and when you start holding several events that cost can add up quickly. Don’t keep your guests cooped up inside when you can reserve a water slide, bounce house, bounce house waterslide, or other inflatable to entertain them outdoors. You’ll end up saving money on your cooling costs while pleasing the guests more than you would with indoor games. Sunshine is loaded with vitamin D and linked with positive moods. Ft. Lauderdale is known for its tropical weather so go ahead and use this sunny feature to your parties advantage. Addding a bounce house to your yard whether its raining or shining will be a huge success with the kids, who will get all the physical activity they can handle. 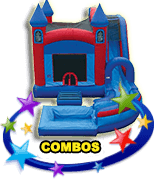 Select a combo bounce house with a waterslide along the side to provide everything they need on a warm day. And don’t worry about the weather, if rain does suddenly occur, the kids will just have more fun with their bouncing and sliding escapades. 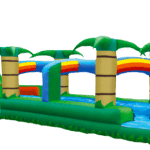 We have more options (and higher quality options) than any other South Florida entertainment company, and our array of Ft. Lauderdale waterslide and bounce house waterslide rentals are unrivaled. 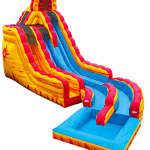 At Extremely Fun Bounce House and Waterslide Rentals, we offer a huge variety of unique waterslides that will please any group with any theme or party feel. In fact, some waterslides can be as tall as four stories, so work with our professionals when you’re selecting the inflatable products as we can offer a wealth of advice and inside information about which products can be perfect additions to your space and party ideas. Note: Ideally, young children should have a relatively small waterslide or bounce house waterslide. 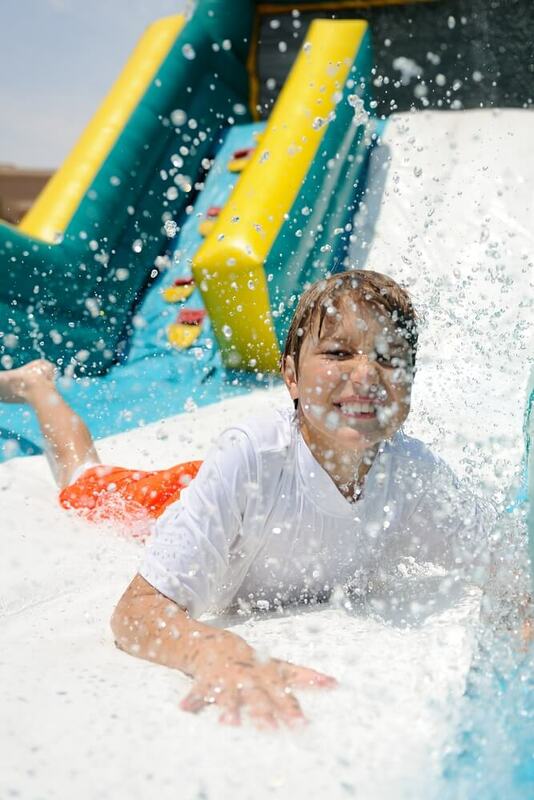 Older kids and teenagers will love either the smaller options or the incredibly tall slides that seem to stretch out for miles, and offer everyone the fun-in-the-sun adventure that makes a huge difference in whether an event is just OK or talked about as a total success. Although Florida is full of wet fun, there are plenty of times when you might want a dry experience for your guests. 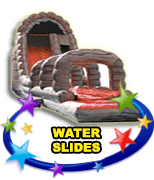 Our facility also carries a huge selection of dry slides for those rain-free and water-free days. 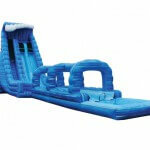 In fact, you can try an inflatable that’s much more than a slide if you prefer. 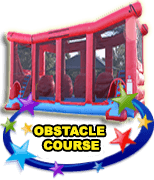 Obstacle course inflatables are perfect for kids looking to compete with their friends, or children who want to practice their physical coordination. They can race each other as they climb and slide across the canvas surfaces, or just race against themselves as they tackle the challenges one by one. Some inflatables even have zip lines built into their construction. Simply ask our professionals about unique options that are available for your gathering. Our professionals here at Extremely Fun Bounce House and Waterslide Rentals will gladly walk you through the rental process when you contact us. They have a ton of experience and are always happy to answer questions including those about pricing and availability. Ideally, you should measure the usable yard space that’s available for the inflatable as with that information, our staff will be able to helpfully narrow down your rental selections to those that fit the space and your desires. 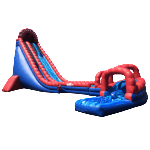 Also feel free to pick out any features that you want on the water slide rental or water slide bounce house rental for your Fort Lauderdale party, and we’ll do our best to accommodate those requests. Delivery and pickup is included with all of our quotes. To avoid any disappointment, contact the rental house as soon as you know the party’s date. You want to reserve the perfect inflatable so that the party will be a success. 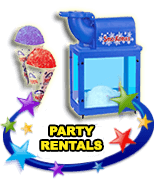 With a reputable company backing up your rental, everyone will have a great time during any party occasion. 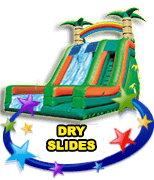 So the next time you are planning an outdoor event, make sure to grab one of our available Fort Lauderdale waterslide rentals or available combo bounce house waterslide rentals in Ft Lauderdale.